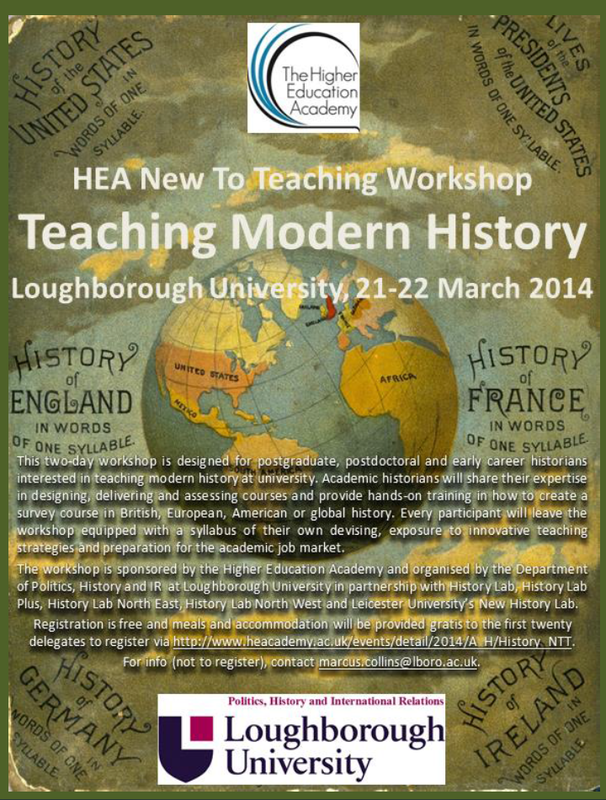 This year the Higher Education Academy History New to Teaching Workshop will be held at Loughborough University on Friday 21 and Saturday 22 March 2014. For those of us at University of Leicester, participation will be free. To register click here. This two-day event is designed for postgraduate, postdoctoral and early career historians interested in teaching history in higher education. Academic historians will share their expertise in designing, delivering and assessing courses and provide hands-on training in how to create a survey course in British, European, American or global history. Every participant will leave the workshop equipped with a syllabus of their own devising and have an improved understanding of issues in teaching and learning including assessment and feedback, quality assurance, innovative approaches and preparation for the academic job market. This event is free to attend for those working or studying at subscribing institutions and £75 per day for those from non-subscribing institutions. Registration is necessary in order to secure a place. Please register by clicking on the 'book onto event' button located at the top of the page. If you experience any problems using the online booking system please email externalevents@heacademy.ac.uk. 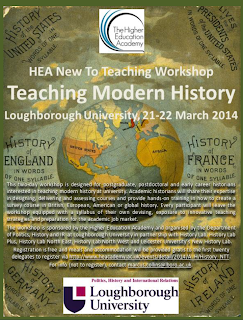 For further details about the programme please contact Peter D’Sena, the HEA’s Discipline Lead for History (peter.dsena@heacademy.ac.uk) or Marcus Collins, Senior Lecturer in Cultural History, Loughborough University (Marcus.Collins@lboro.ac.uk). Overnight accommodation can be booked on campus for approximately £35 per night (bed and breakfast). All enquiries about securing accommodation should be directed to Dr Marcus Collins (Marcus.Collins@lboro.ac.uk).